We can’t always control the triggers of stress, but we can mindfully manage our responses to stress to maximize health and happiness. 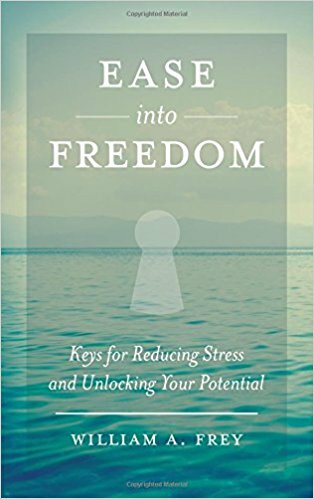 Ease into Freedom: Keys for Reducing Stress and Unlocking Your Potential provides 53 concrete, easy-to-implement tips for handling stress skillfully. From breathing and sitting techniques to managing time to applying mindfulness to all aspects of life, Ease into Freedom teaches one new tip per week, plus a bonus tip, to keep you going all year long. Each tip is accompanied by a practice guide that not only helps readers utilize the prescribed advice but also encourages them to explore the efficacy of each tip and why it works. Anytime is a good time to begin taking small steps to alleviate suffering from stress, and Ease into Freedom is an exceptional, user-friendly start to unlocking your potential for feeling and living better. Would you like to relax and let go of tension? You can! Would it help if you had personal support and guidance when you need it? You’ve got it! Exclusively from Pathfinders Coaching and Educational Services, four different programs release the stress in your body and calm your mind. Listen to just one track once a day and you will find yourself sleeping deeper, feeling increased energy levels, and acting more like your best self. Guided Body Scan to help you unwind, fully relax, and get in touch with your whole body. Sitting Practice to guide you in calming your mind and living in the present. Gentle Stretching part 1 to ease tense muscles while sitting and lying down. Gentle Stretching part 2 to ease tense muscles while standing. The programs were professionally recorded by William Frey for use in the Mindfulness-Based Stress and Pain Management program at the University of North Carolina at Chapel Hill. Program participants found the compact disk recordings so helpful that others requested it for the general public.